I Am Returning From An Eight Week Sabbatical, Full Of Piss & Vinegar! Yeeeeee-ha! Ha! | Georgia Teachers Speak Out! ← Edmond Heatley: Is His Time Up? Should the Clayton Board of Education Terminate This Superintendent and Put Him on the Road? Post Your Anonymous Thoughts Here! You Can Speak Out! I Am Returning From An Eight Week Sabbatical, Full Of Piss & Vinegar! Yeeeeee-ha! Ha! I am returning today from an eight week sabbatical in which I have been doing a lot of reading and writing and talking with the MACE Staff nearly every day. I was glad when Mr. Norreese Haynes told me this weekend that he and the guys were able to work in a good picket at North Clayton Middle School on the last day of school. The teachers were thrilled. I missed the picket line but we are pushing to get The MACE Manifesto published in a few short months. Some school systems are still open, and I am hoping to visit some schools this week. This summer, we hope to put together a Best of MACE Live TV on CDs to give out to teachers this coming school year. We are also looking into purchasing some regular spots on cable television for MACE Live TV. I look forward to arriving at the ATL, the world’s busiest airport. 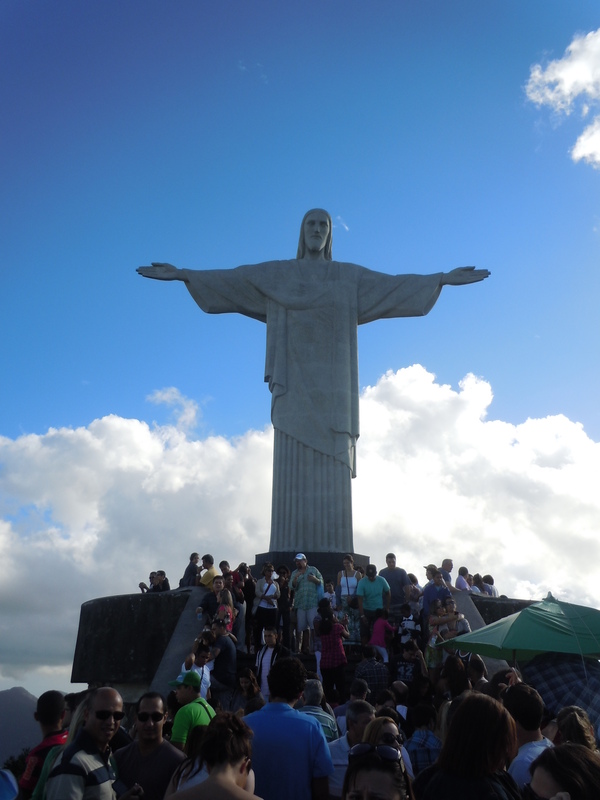 In this photo, I am in front of Cristo Redentor, one of the eight wonders of the world. Can you see me? Ha! MACE‘s theoretical statement which cannot be disputed is this: “You cannot have good learning conditions until you first have good teaching conditions.” I defy anyone to dispute this statement. The reason that public education is so screwed up today is that the policymakers and politicians and educrats think that they can improve public education without first coming to terms with this statement. It cannot be done, folks. 2 Responses to I Am Returning From An Eight Week Sabbatical, Full Of Piss & Vinegar! Yeeeeee-ha! Ha! Look forward to working with my knowledgeable and courageous friends at MACE to improve educational opportunities for all Georgia’s public school-enrolled kids, not just those born to affluent and majority families.